Calculation of soil settlement is one of the main tasks of applied computer simulation in construction. This allows the simulation of the settlement of bases and foundations under different maintenance conditions over time, evaluation of the complexity and construction costs, reliability and durability. 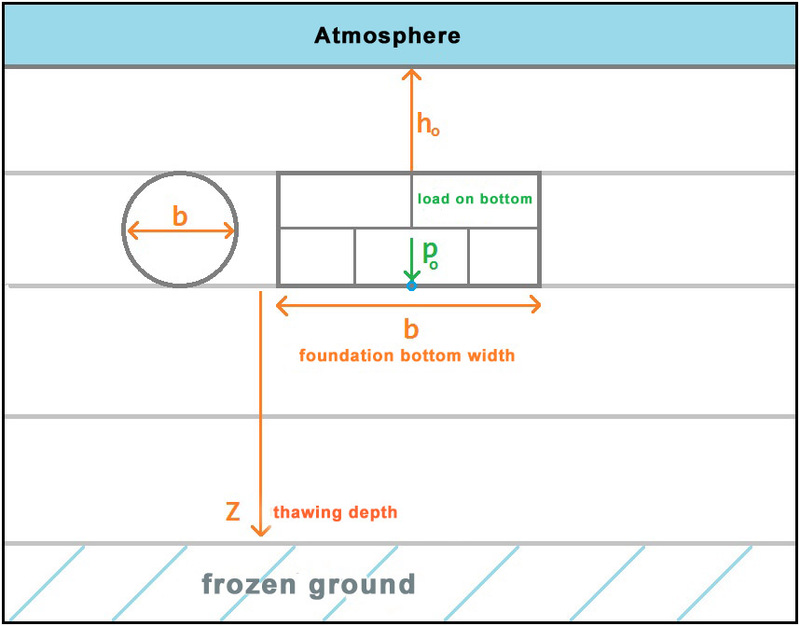 In permafrost regions settlement, can be caused not only by structural loads, but also by ground thawing, resulting from the additional pressure of ground transition from frozen to thawed states. This article describes the method of settlement calculation according to SNIP 2.02.04-88. The proposed method is applied in the utility that will be a component part of the Frost 3D Universal software package. Thus, in upcoming versions of Frost 3D Universal it will actually be possible to determine the settlement of soil bases using geological ground structures and calculated temperature fields.